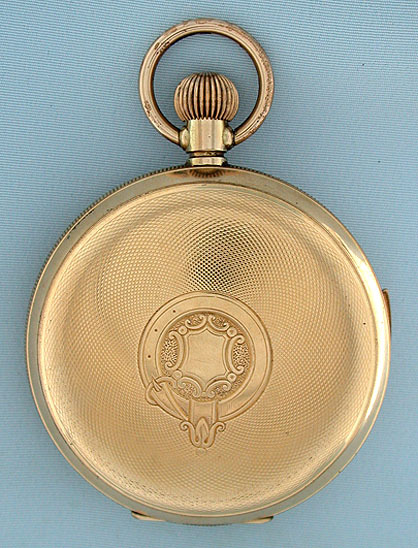 Swiss gold filled hunting case quarter hour repeater by Ullman circa 1900. When activated this watch chimes the time using different chime tones to designate the hours and quarter hours. 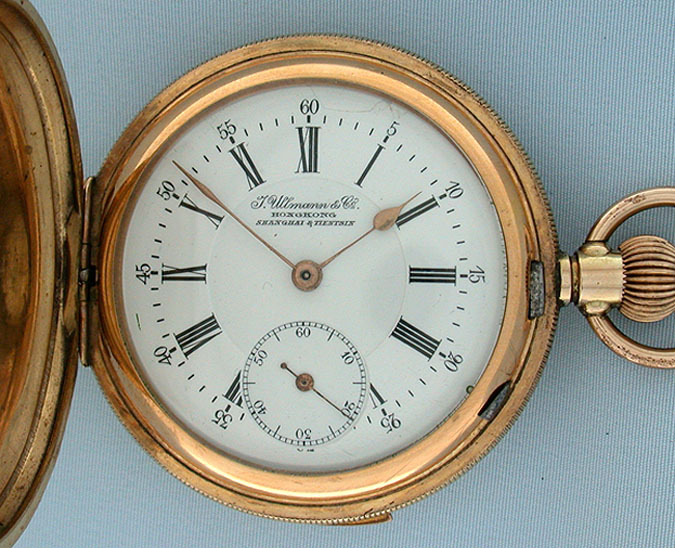 White enamel dial (small hairlines) with gold hands. 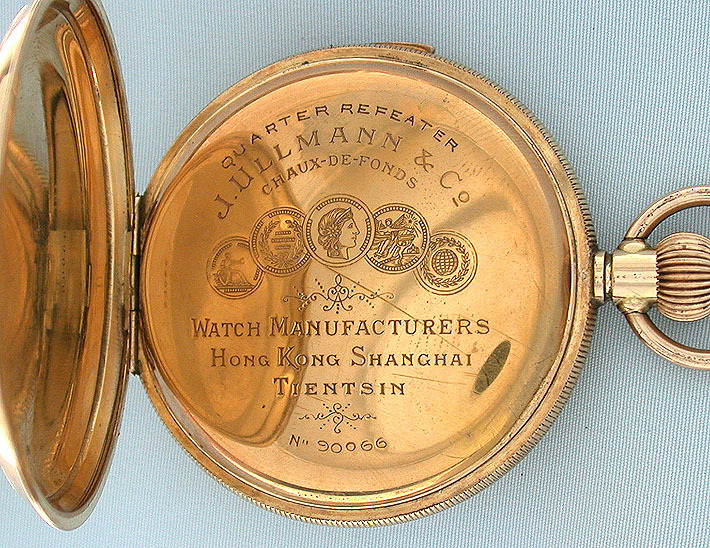 The dust cover with a description of the movement and numerous medals. 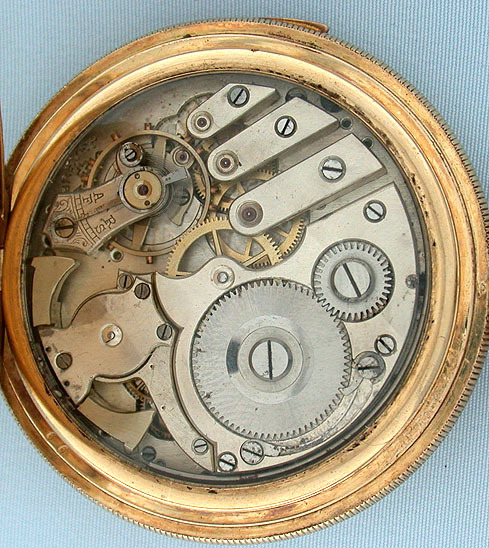 Nickel 15 jewel movement under a second glazed dust cover. Good tone.